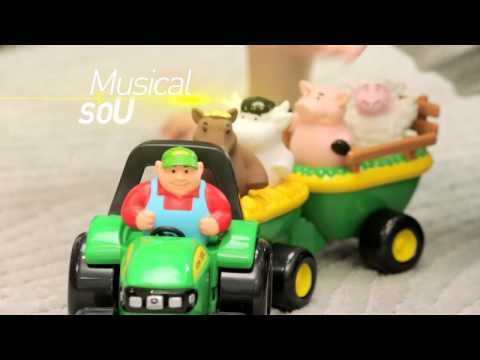 Chunky John Deere tractor pulls along farm animals. The animals are removable, and must be matched with their correct seats in the wagon. Each animal makes realistic sounds when they are pushed down and toy plays "Old McDonald" when the farmer figure is pushed. Batteries included.